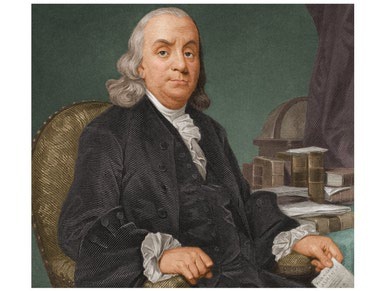 “As he did in so many areas,” says Wilton Eckley, Benjamin Franklin “left an indelible mark on the essay in America” (Encyclopedia of the Essay, 1997). Even Franklin’s most light-hearted pieces (or bagatelles) are characterized by thoughtfulness and eloquence. I address myself to all the friends of youth, and conjure them to direct their compassionate regards to my unhappy fate, in order to remove the prejudices of which I am the victim. There are twin sisters of us; and the two eyes of man do not more resemble, nor are capable of being upon better terms with each other, than my sister and myself, were it not for the partiality of our parents, who make the most injurious distinctions between us. From my infancy, I have been led to consider my sister as a being of a more elevated rank. I was suffered to grow up without the least instruction, while nothing was spared in her education. She had masters to teach her writing, drawing, music, and other accomplishments; but if by chance I touched a pencil, a pen, or a needle, I was bitterly rebuked; and more than once I have been beaten for being awkward, and wanting a graceful manner. It is true, my sister associated me with her upon some occasions; but she always made a point of taking the lead, calling upon me only from necessity, or to figure by her side. But conceive not, sirs, that my complaints are instigated merely by vanity. No; my uneasiness is occasioned by an object much more serious. It is the practice in our family, that the whole business of providing for its subsistence falls upon my sister and myself. If any indisposition should attack my sister–and I mention it in confidence upon this occasion, that she is subject to the gout, the rheumatism, and cramp, without making mention of other accidents–what would be the fate of our poor family? Must not the regret of our parents be excessive, at having placed so great a difference between sisters who are so perfectly equal? Alas! we must perish from distress; for it would not be in my power even to scrawl a suppliant petition for relief, having been obliged to employ the hand of another in transcribing the request which I have now the honor to prefer to you. Condescend, sirs, to make my parents sensible of the injustice of an exclusive tenderness, and of the necessity of distributing their care and affection among all their children equally.